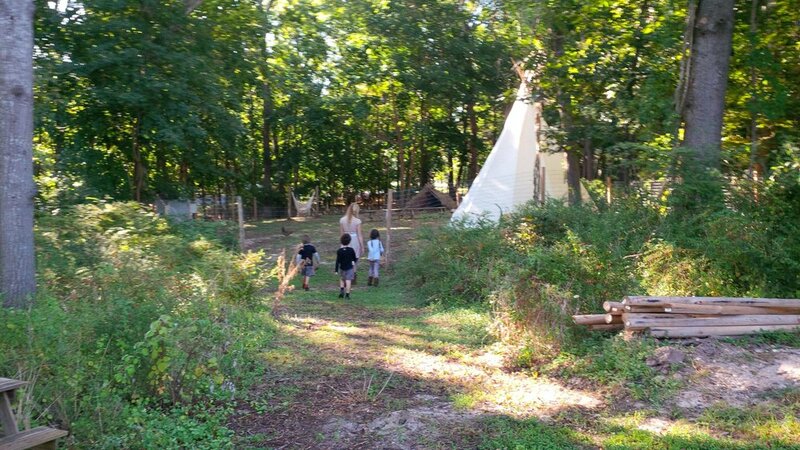 Our Sons and Daughters School was founded in 2009 by a group of parents and teachers passionate about Waldorf Education with one small early childhood group, operating out a living room in Sagaponack. In 2017, the school became a fully accredited member of the Waldorf Early Childhood Association of North America (WECAN) joining hundreds of schools across North America as official representatives of Waldorf Education. OSDS is now a certified Waldorf School serving over 100 families each year through Parent + Child classes, nursery and kindergarten classes, and a satellite Summer on the Farm program at Fireplace Farm. Now situated on a beautiful wooded lot in Sag Harbor, New York, Our Sons and Daughters School provides an enriching and nurturing environment that supports the children's physical, social, emotional and emerging intellectual development. We tailor our curriculum to support the children's growth through the developmental stages, as understood in Waldorf education. Our curriculum builds on young children's curiosity and enthusiasm, and emphasizes the importance of children's active and experiential engagement with society. It is based on the understanding that young children learn best when they can construct meaning in a context-rich environment. Concrete and active experiences provide children with a solid foundation from which, at an older age, they can build an understanding of abstract ideas. Our curriculum emphasizes the healthy development of the heart, body and mind through imaginative play, meaningful work and expressive arts in a natural environment. In the spirit of the Early Childhood Programs of Waldorf Education, we holistically address the emotional, intellectual and physical needs of each child. By upholding truth, beauty and goodness, we seek to instill bold thinking, self confidence and social responsibility in our students.